Joomla! 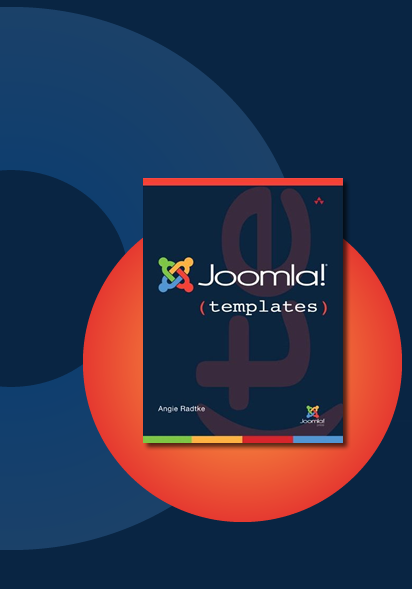 users who want to customize their own websites need to understand templates: that's why thousands of them have asked for template help at the Joomla! web site. Now, for the first time, there's an authorized and definitive guide to all facets of designing, developing, and customizing Joomla! templates. Internationally respected Joomla! template developer and trainer Angie Radtke guides users through everything they need to know to quickly create sites that meet their clients' exact visual requirements. My aim is to show you how Joomla! templates are constructed and how you can create an accessible, standards-compliant template by using the technical possibilities offered by Joomla! in combination with the most modern forms of web technology such as HTML5. The book is divided into three parts. In the first part, you will find general basic information on the individual web technologies, comments on design and a list of helpful tools. These are basic requirements which you will need to build a template. The second part is about the technical background of constructing templates. Using concrete examples, I show you the technical options and how they work together. The third part is a workshop in which I turn a template created in Photoshop to a Joomla! Template, step by step. Everyone makes mistakes. All corrections will be posted here. If you find a mistake please contact me.